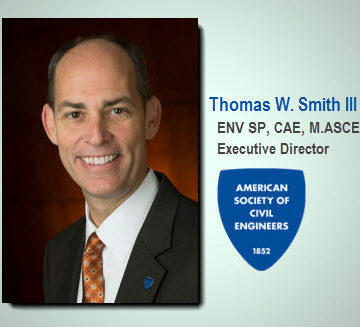 Today, Thomas W. Smith III, ENV SP, CAE, M.ASCE, becomes executive director of the American Society of Civil Engineers. 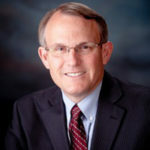 A dedicated ASCE member for more than 25 years, he has been the Society’s deputy executive director since 2010 and general counsel since 1997. Working closely with ASCE’s geographic and technical organizations and affiliates worldwide, Tom has provided leadership, direction and management oversight across a wide spectrum of programs, operations and strategic initiatives. Tom holds a master’s degree in structural engineering, a B.S. in civil engineering from the University of Virginia and a law degree from Washington & Lee University. Before joining ASCE, Tom practiced law with a focus on land use issues. Tom is also a Certified Association Executive (CAE) and an Envision Sustainability Professional (ENV SP). He has been active in his community and serves on the Fairfax County Board of Zoning Appeals. He previously chaired bar association committees providing legal services to local homeless shelters as well as coordinating national moot court competitions. To see the extended version of the video, click here. I just caught the tail end of the C-SPAN3 forum on infrastructure. 1. Is there a hard copy of the presentation? 2. You mentioned that the federal gas tax has not been raised in quite some time. However, the states have been busy tacking their taxes in order to fund roads. The WA tax is 49.4 cents per gallon. This is approximately 3x the federal tax. Enjoyed that very end of the presentation. Tom, Congratulations on this well deserved promotion. ASCE is in good hands with you leading the way. I was impressed with you in your early days with EJCDC and the “Quality Manual” project. Since then your progress and increasing responsibility have been great to watch. Congratulations, Tom. This is a powerful and noble calling. America needs to value its engineers so much more than we do, and invest in our infrastructure. I wish you the best of luck in this important job. I look forward to seeing the fruits of your work. The ASCE is fortunate to have you! On behalf of the board of Asociación de Ingenieros de Caminos de España and on my own, I would like to congratulate you for your new position. We hope we can continue with the friendly relationship between our organizations, as well as we had when Pat Natale was on your position. 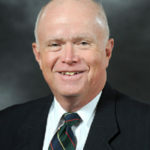 CONGRATULATIONS to Thomas W. Smith on taking over as Executive Director of ASCE !!! I hope he will soon define his mission, vision, and clear targets and time-bound goals very early so that members can give him full support and achieve Results. 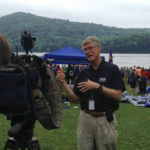 I personally welcome Tom and others to ASCE. Certainly we all will benefit from their vast experience and knowledge. Congratulations Tom on a well deserved appointment! I appreciate especially the clear leadership you have provided over the years as a backstop on engineering ethics of professional practice. A finer person and better association leader could not have been found to take ASCE into the future. 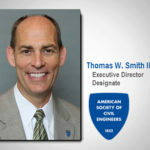 Kudos to the ASCE Board for their selection of Tom Smith to serve as their new Executive Director. Cheers Tom and Congratulations on your new position. Truly happy for you and the society since I know the organization will thrive under your leadership.